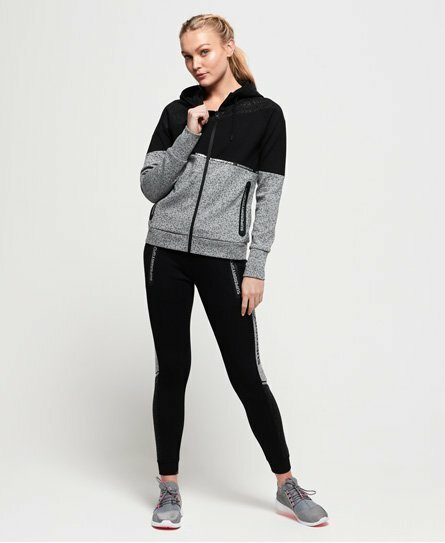 Superdry women's Core gym tech splice joggers. Designed with your comfort in mind, these joggers feature an elasticated drawstring waist, two zipped front pockets and panel detailing down the legs. These joggers are completed with reflective logo detailing on the legs and pockets.